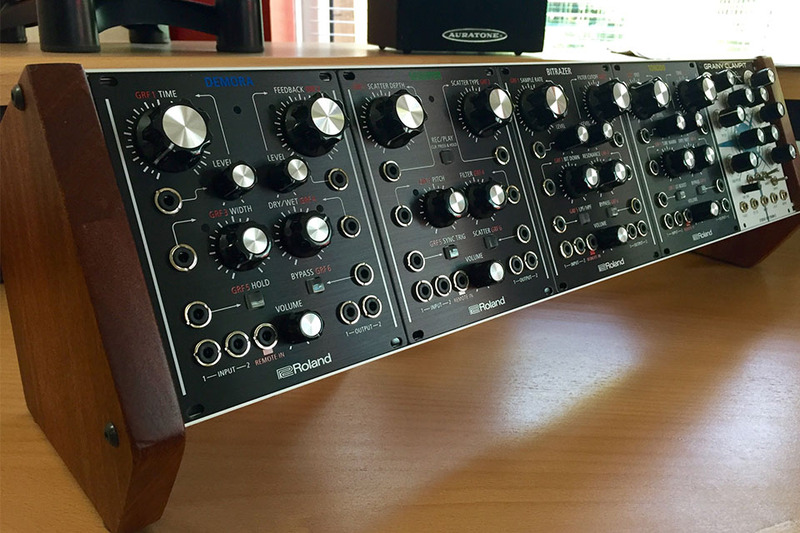 The Eurorack starter kit is a 104HP 3U frame with solid wood panels and Eurorack mounting rails. The Eurorack starter kit is a 3U frame with solid wood panels, Eurorack mounting rails, and can be bought with the Tiptop Audio uZeus Flying Bus Board (4HP) and a DC power adapter. The DC power adapter we have in stock supplies 2000mA, 15vDC and is compatible with UK sockets. 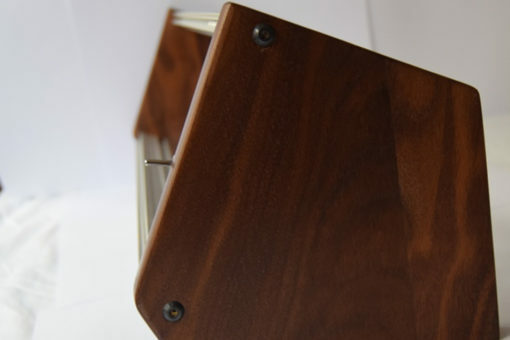 The side cheeks come in a range of solid wood finishes, including walnut, oak, cherry and poplar. The solid wood cheeks have an oil and wax finish, which enhances and protects the timber. Each kit comes with 40 sliding nuts and bolts, or you can choose to have the threaded rails. This is a great starter pack for an out-the-box Eurorack system, for those looking to enter the Eurorack world, at a great price. Tiptop Audio uZeus Micro, with flying bus, provides enough power to get you up and running with your first Eurorack system. It can generate 1000mA at +12V, 500mA at -12V and 170mA at 5V and requires a 15V DC 2000mA power supply to operate. The 2 flying bus boards have connections for 5 modules on each ribbon. You are advised to read the TipTop manual which provides advice and essential information on the operation of the uZeus. In particular, you should read and understand the section on using the -12V Rail. You can download the manual from Tiptop Audio. If you are using your own DC power adaptor it needs to have a 2.5mm barrel bolt with centre pin positive supplying 2000mA, 15vDC. The uZeus is 3U x 4HP and 36mm deep.